These are some genius bullet journal ideas that I hope will help you use your bullet journal more successfully. I’ve read some of your bullet journaling articles and I really love them. Thanks so much for your awesome tips. I’ve been journaling for a few weeks and I find that I’m not using my bujo for what it’s meant to be…bettering my life and being more organized. In fact, I find myself getting so involved in making the spreads than in actually getting stuff done. Do you have any tips on how to be more successful with my bujo or how you’ve been able to use yours more successfully? This got me to thinking of all the times I got overwhelmed and stuck when first starting my first bullet journal. 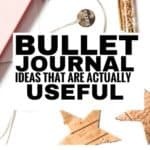 Therefore, I thought it best to share these genius bullet journal ideas in the hopes that it helps more people who are interested in journaling. Granted I’m not an expert at bullet journaling. 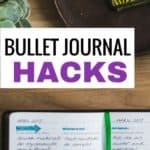 However, I do find that there are some things I’ve learned that can help you use your bullet journal more successfully. Bullet Journaling is an amazing way to organize your life, while still having an outlet to be creative. This is the main reason why many people use bullet journals rather than planners. Indeed this is why I’ve been loving my bullet journal for more than a year and I don’t see my self ever giving it up. 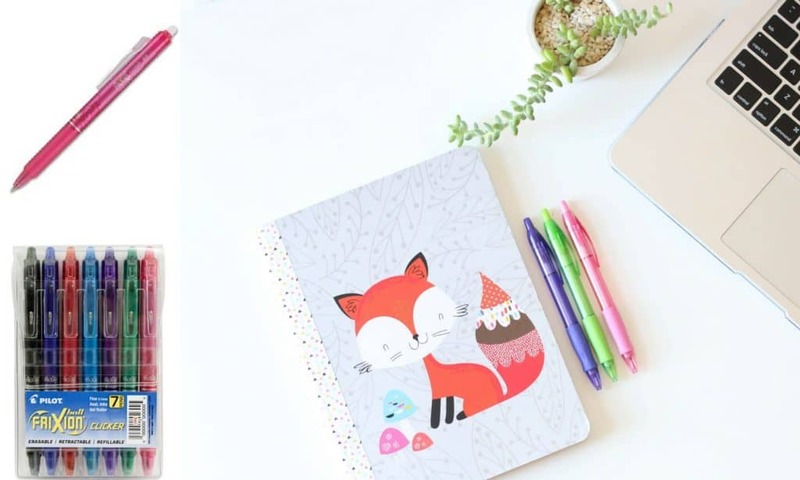 To be honest, I know of many people who love using their journals just as a hobby, however, it can seem a bit daunting for those who actually want to use it to make a change in their lives. Don’t get me wrong, many people use it purely as a way to relieve stress and partake in a hobby they love. So if this is you and you’ve felt pressure and that you’re not using your journal to its maximum potential then this article is for you. I promise you’ll find these tips really helpful indeed. If you’re new to bullet journaling and want to know a bit more of what is it, then let me explain a little more below. Like the description above stated, it’s an organization system that is very customizable. Very unlike planners which have more of a rigid system of predesigned pages can be limiting. If this sounds good to you and you’re looking to start using a bullet journal, here are some of the essentials you should check out. They’re by no means the only options out there, but they’re pretty great to start out with! Okay, so in order to start bullet journaling, you need an awesome notebook to put down all of your ideas. 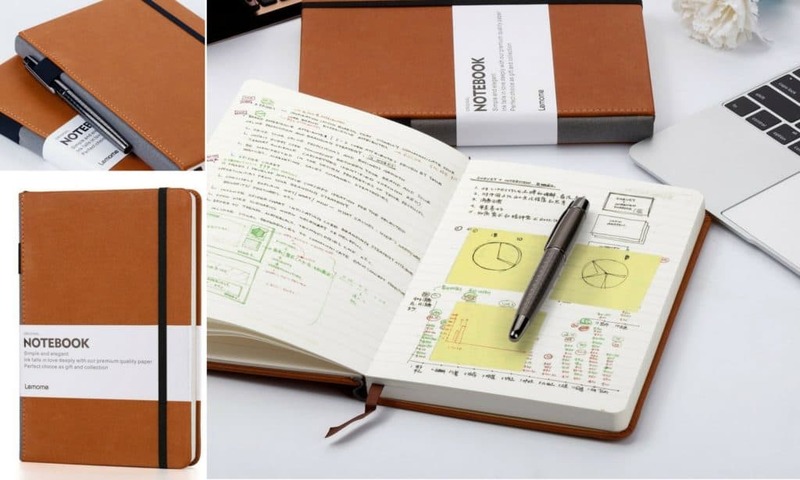 The Lemome is a great option for bullet journaling with its signature amazing paper quality and it’s really a nice place to start. Not just any pens either. Make sure you get you some erasable pens so that if you make any mistakes (which are inevitable) you can easily erase them with no issues. 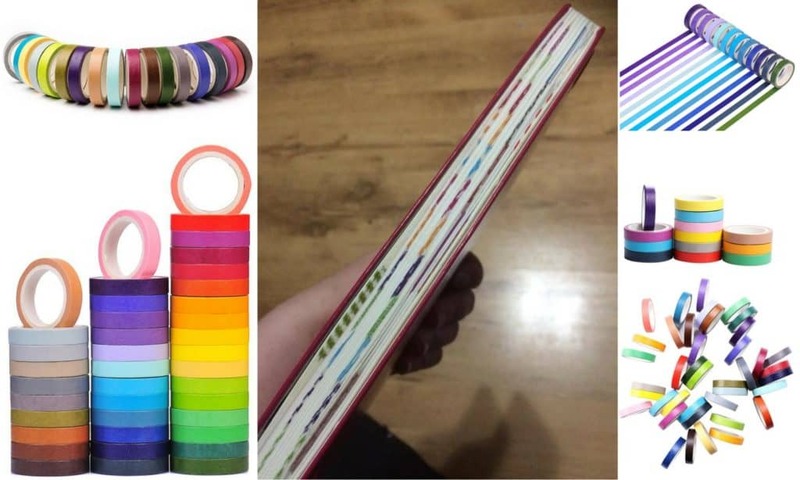 I always use washi tape in my bujo simply because they’re so great for color coordinating and for marking out important sections that can become easily lost in a blank bullet journal. I highly recommend getting some colors that you really enjoy and using them throughout your journal for added style and functionality. In my journal, I use mine mostly to pinpoint super important pages throughout my journal and they’re a lifesaver! These are literally all you really need to start bullet journaling. Now let’s get into the tips that can make you use your bullet journal successfully this year. These genius bullet journal ideas are worth it if you want to use your journal productively. Spend more time actually putting your journal to use. In the beginning, I was obsessed with creating perfect looking spreads and color coordinating everything. I would literally spend hours making my journal look great. However, I had to remind myself that I started bullet journaling because I wanted to actually use my time more productively. I liked the colors and drawings, but if they took away my time, they were defeating the purpose. Now I don’t focus on getting everything to look amazing. I just want to be reminded of what I need to be working on in my life. Each time I get slightly carried away I tell myself that I’d much rather have a plain looking bullet journal that’s helping me crush my goals. This is much better than a beautifully decorated journal that just looks really cute but serves no other purpose. Therefore, becoming very mindful of WHY you’re using a journal so that you use it to significantly help keep you on track. In keeping with my new approach, I’ve gotten my self out of this ‘phase’ by doing a few simple yet important things. For instance, I only purchase the supplies I need. A bullet journal, a few pens (5 colors) and few markers and some washi tape. Occasionally I do get something nice bullet journal supplies to jazz it up, but this happens only on rare occasions. Simplifying things has made such a huge difference for me in terms of productivity and I’m certain it can do wonders for you. Artwork is beautiful in a bullet journal. However, learning to cut this hobby out or at least minimize it can help you greatly. If you must create beautiful pages, then try to create an amazing page each month then simplify the pages you use often. These would be pages like your weeklies so that the process is actually quicker and you can get things done. Also, remember If you must have artwork in your journal, just leave a space and fill it in later when you have time. But, focus on getting stuff done before you spend tie doing these. You’ll thank yourself later. A bullet journal should be a tool for living a better life and this can help you along this path. Find some ideas that you like and stick with them. It’s very easy to get super distracted by all the pretty spreads on social media. However, if you can find a few ideas that you genuinely like, and that works for you, then master them and use them throughout your journal instead of trying to reinvent the wheel each time. This can help you save you a lot of time. It can also help you get really get organized and make your bullet journal look more cohesive. A bujo is an amazing tool to make life simpler and more organized. But it all has to start with you. So do not allow yourself to get pulled into the trend of making your journal pretty but not actually functional. So if you’re not yet using to do lists in your bullet journal, then you’ve been missing out! They’re literally the lifeblood of my journal. I cannot start a day out without a list. If I do, I pretty much am all over the place and nothing actually gets done. 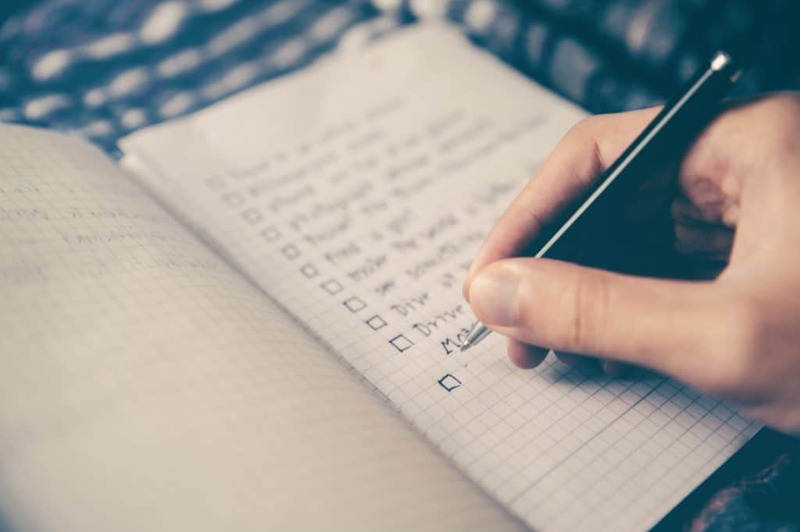 Try out some to do lists to see how much you can actually get done each day just by outlining your day with lists. Don’t worry about what others are adding to their bullet journals. Don’t get hung up on what people are doing with their journals. Instead, focus on what you need to add to yours to make your life simpler and more organized. Often times, people who are new to bullet journaling allow themselves to get overwhelmed with everything they ‘think’ they NEED to be doing. There is no set way to use your journal. You use it for what’s important to you and what plays an important role in your life. 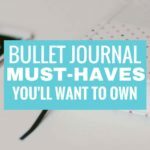 It’s very difficult for many people to actually crack open their bullet journal and start using it. I totally get this since I felt like this too. I’ve learned that It’s totally normal to be overwhelmed by all of the information out there. But, if you make a list of things that you need to include to make your life better, then you’ve started off on the right path. For instance, don’t make a page for something that you don’t need because someone else has a page like this that you like to see. Take the inspiration but make it fit into your life. Bullet journaling should be helpful, not stressful. Only add pages that are relevant to you and can actually make your days more functional. 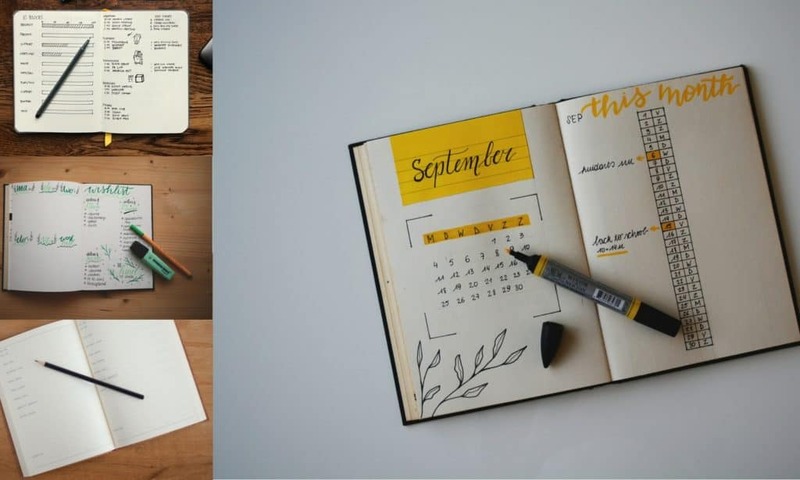 Did you like these genius bullet journal ideas that can help you use your Bujo more successfully? Let me know in the comments below. Also, if you have any more of your own genius bullet journal ideas share with us below! Also, if you have any more bullet journal ideas that you think are brilliant, share with us below!